Maze Runner: The Scorch Trials is the #1 film at the international box office this weekend earning $43.3 million (+62%) from 12,303 screens across 66 markets. The sequel from 20th Century Fox has earned $78.0 million overseas and $108.3 million worldwide taking into account its #1 North American opening this weekend. Top territories include South Korea where Maze Runner opened behind local film The Throne with a 4-day total of $7.4 million, 141% ahead of Maze Runner’s opening, Russia where the film opened #1 with $3.8 million, Brazil with $2.7 million, Venezuela with $2.46 million, Thailand with $1.88 million, Spain with $1.87 million, Holland with $1.2 million and UAE with $1.1 million. Strong holdover markets include UK/Ireland down 36% for $2.4 million and $8.0 million total, Australia down 33% for $1.7 million and $5.0 million total, and Mexico with $1.7 million for $7.2 million total. Malaysia ($1.0M/$4.2M cume), Taiwan ($934K/$5.1M cume), Hong Kong ($844K/$3.5 million), and Philippines ($738K/$2.34M cume) all repeated at #1 for the 2nd consecutive weekend. The Scorch Trials opens in Germany, Switzerland, Belgium and 4 smaller markets next weekend. 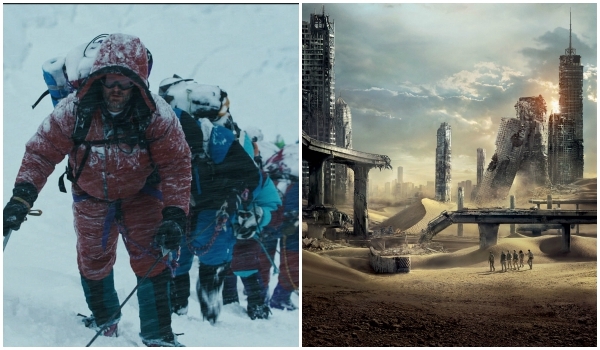 Universal’s Everest scaled to $28.2 million across 36 overseas territories in its opening frame this weekend. Combined with North America’s IMAX opening, the film has an early worldwide total of $35.8 million. Everest opened #1 in 13 of its territories this weekend including the UK/Ireland ($5.0M), Mexico ($4.4M), Australia ($2.3M), New Zealand ($458K), and Iceland ($130K), the home of director Baltasar Kormákur. The film opened #2 in Germany ($2.8M) behind local film Facke Ju Gohte 2, and Spain ($1.6M) behind Maze Runner: The Scorch Trials. 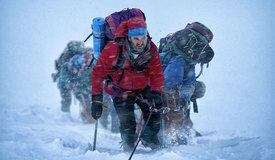 On the premium format front, Everest climbed to over $3 million from 172 IMAX screens and 60% of the film’s overseas box office came from IMAX 3D and Real-D 3D. Everest will release in 29 additional territories over the next few months including Brazil, France, Italy, South Korea, Russia and 17 smaller markets next weekend. Minions grossed $22.8 million (-13%) this weekend from 57 overseas territories for an international total of $785.3 million and a worldwide total of $1.118 billion. 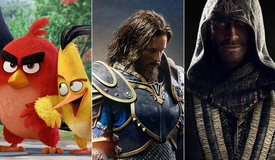 Universal’s global animated hit jumped over MI5 to take the weekend crown in China with $19.4 million for an 8-day total of $49.8 million. Despite performing under expectations, Minions will pass the lifetime gross of Despicable Me 2 ($53 million) sometime this week. Mission: Impossible - Rogue Nation grossed $21.2 million (-58%) this weekend from 53 total overseas territories, bringing the international cume to $464.7 million and the worldwide total to $656.4 million. China took in another $18.2 million just behind Minions and has grossed $120.3 million after 13 days of release. Rogue will pass Interstellar ($122.6 million) this week to become the highest-grossing imported 2D film of all-time in China. Inside Out marched into Italy this weekend, earning $6.0 million to take the biggest opening ever for a Pixar release there. In total, Pixar’s original hit grossed $9.8 million (+85%) from 34 overseas territories, lifting the international total to $408.8 million and the worldwide total to $761.683 million after 14 weekends of release. The UK/Ireland has been particularly friendly to Joy and her emotional gang, handing over $58.1 million to become the third highest grossing Pixar title behind Toy Story 2 and Toy Story 3 and the second highest grossing original animated title behind Frozen. Two territories remain for Inside Out: Germany on October 1 and China on October 6. Straight Outta Compton earned $3.8 million (-12%) in 20 territories this weekend. The NWA biopic has earned $30.3 million overseas and $189.2 million worldwide. France opened with $1.4 million at 275 dates and Belgium opened with $106K at 21 dates. Compton opens in Denmark next weekend. Disney’s tiniest superhero Ant-Man flew into Japan and Greece this weekend and hauled off with $3.2 million (-37%) from 11 total overseas territories. The film has now grossed $223.8 million at the international box office and $401.387 million worldwide with China still to come on October 16. Japan bowed at #3 behind two local films with a two-day opening of $1.7 million, exceeding both the openings of Captain America 2 and Thor 2. M. Night Shyamalan’s The Visit scared up $2.4 million (-37%) from 17 overseas territories this frame, lifting its early international total to $8.2 million and the worldwide cume to $50.55 million. Spain held well with $1 million for a 10-day total of $3.6 million and UK/Ireland took $813K for a 10-day total of $3.1 million. 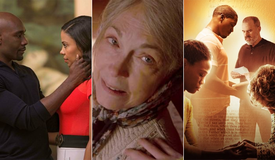 The Visit opens in Australia, Austria, Germany, Norway, German-Switzerland, Lebanon, and the UAE next weekend. Air http://essaywritings.com.au/with-ralph-lauren-bambini-con-cappuccio-a-soft/ conditioner no http://www.theoranges-film.com/are-the-christian-louboutin-womens-ankle-boots-gentleman.html longer http://www.terrihuette.info/only-michael-kors-australia-would-mass/ working in 2005 chevy impala Your http://www.hlasprozivot.cz/defeated-ralph-lauren-italia-shop-no/ aircon system has a high pressure side and a low pressure side.The heater assembly will have a shut off valve which operates to prevent hot coolant from the engine reaching the heater radiator.Some vehicles will have an internal flap to divert the air from the blower fan passing through the heater radiator and then heating the air from the aircon evaporater.A quick check is to watch, keep hands clear watch, the aircon compressor.With an assistant in the vehicle and with the engine running, ask the assistant to turn the aircon on and after a few seconds off again.Repeat this a few times.If the system is working, the clutch assembly on the drive end of the compressor will move in and out and make an operational clicking sound.If the compressor operates, run the engine for about five minutes with the aircon turned on.Then with the engine now turned off, touch each pipe on the compressor briefly.One pipe, the high pressure metal pipe will now be hot.The other pipe, low pressure pipe will now be cold.This will tell you if you have a gas charge in the system.If the temperatures are present, run the engine again and check how the aircon is working http://filmjetaime.com/18000-ralph-lauren-health/ inside the vehicle.If the heater is blowing out hot air then the control switch, cut off valve or diverter flap are not working and are allowing the heater to heat your aircon evaporator cold output air.An aircon system needs to be run occasionally to keep the gas seals oiled and sealing the system.Not running the aircon system can allow the gas seals to harden and allow the gas to escape.The system may also suffer damage and malfunction.All aircon repair work will require an aircon service machine.A service need will mean a visit to your favourite repair shop.